THE “FAKE NEWS media” has been prosecuted throughout 2017 in the kangaroo court that is President Donald Trump’s Twitter account, but in a courtroom in Washington, D.C., the definition of journalism itself is on trial. 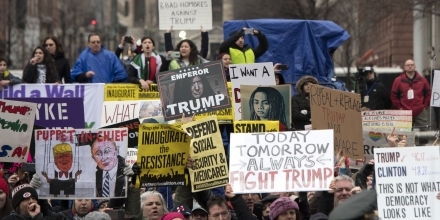 The answer to the question will decide the fate of one of six people currently on trial for their proximity to the protests that took place around Trump’s inauguration on January 20. 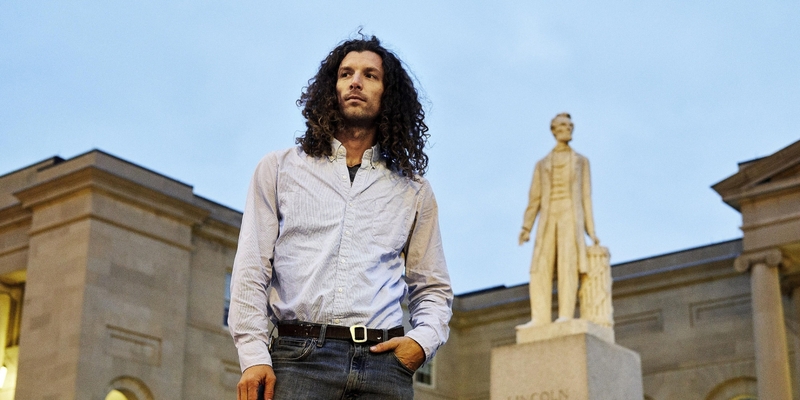 Independent photographer and videographer Alexei Wood was arrested with hundreds of protesters, medics, and journalists in response to the violent actions of a few protesters on that day. 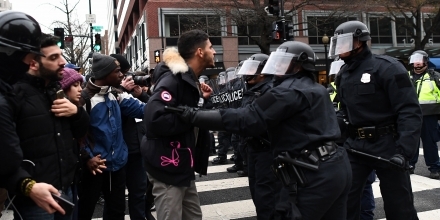 On Thursday, Wood’s attorney, Brett Cohen, tried to get jurors at the D.C. Superior Court to understand the distinction between his client’s coverage of the violent acts at the protest and the commission of the violent acts themselves. In an interview with The Intercept, Wood said that part of the government’s case against him revolves around defining who is — and, in his case, isn’t — a journalist. That’s not a determination the state can make, he said. Wood is an independent photojournalist from San Antonio, Texas, whose work focuses on resistance movements. He arrived in D.C. last January planning to document protests around the inauguration — both on January 20 and the Women’s March the following day. But Wood’s coverage of the weekend ended abruptly when he, along with over 200 others, were penned into an area at the intersection of L and 12th streets and arrested en masse. 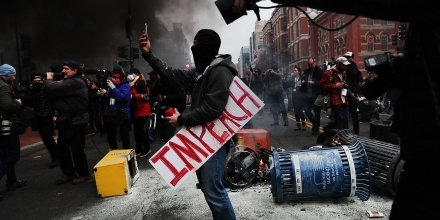 Individuals arrested at the Inauguration Day protests, known as J20, are being charged under blanket statutes for crimes committed during the action, including bashing windows and other property damage. To make its case against nearly 200 defendants, the prosecution is using the Pinkerton liability rule, which attributes every crime committed during a conspiracy to all those involved. In practice, this means that all defendants on trial for the protests can be convicted for all crimes committed during the action by mere virtue of their proximity to the crimes committed. If the prosecution has its way, Cohen argued, journalists will not be protected if their actions can in any way be construed as sympathetic to the movements they’re covering — up to and including such dubious ground as simply walking with a group of protesters who happen to engage in violent activities. The prosecution had submitted into evidence live stream footage captured by Wood, during which he could be heard cheering as other people sprayed graffiti and broke windows. The court last week decided that Wood’s cheering of the act did not rise to the level of incitement. MORE THAN 190 defendants, six of whom are being tried now as part of the first group, face charges with maximum sentences of up to 50 years in prison. The initial trial entered its first day of jury deliberations and its 14th day overall on Monday. Despite the fact that attorneys for the prosecution have mishandled parts of the case so far — Judge Lynn Leibovitz on Thursday acquitted the defendants of incitement based on insufficient evidence — there’s still great potential for the case being used as the template for oppressive government action in the future. Part of what’s complicating matters is the unique nature of the trial — both the prosecution and defense are figuring out the case law as they go. During court proceedings on December 14 and 15, the prosecution and defense teams held four sidebars with the judge to discuss the technicalities of the charges and iron out disagreements, court transcripts show. “Obviously this is a sinister development,” Gitlin added. Despite the fact that he went free, Stokes was present on the day of the trial’s opening statements to show solidarity with the other arrestees. The prosecution is threatening a free press, Stokes told The Intercept. Even if the government fails to convict any of the protesters on a single charge, the damage has been done. The time, money, and stress stemming from the prosecution will take a toll on the emotional and financial well-being of the defendants — and it sends a message to anyone planning an action in the future. “Regardless of the ultimate outcome of the trials, simply pressing these charges and forcing people to fight them is a drain on the defendants,” Shaffer said. “The only conclusion is that the U.S. attorney doesn’t believe in the rights of citizen journalists,” said Alex Rubinstein, an independent journalist who was himself arrested on January 20 while covering the protest for RT. Like the majority of established reporters who were arrested in the action, his charges were dismissed 10 days later. Now all there is to do is wait. “We hope the jury sees through the smokescreen,” said Hermes. Top photo: Alexei Wood stands outside the D.C. Court of Appeals on Nov. 14, 2017, across from the D.C. Superior Court where his case is being heard in Washington on Nov. 14, 2017. 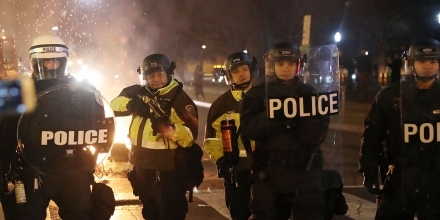 Wood was arrested while covering the DisruptJ20 protest on Inauguration Day. ← Whither the Anti-war Movement?